As One of The Top Nashville Restaurant Cleaning companies, we strive to maintail our top rating. 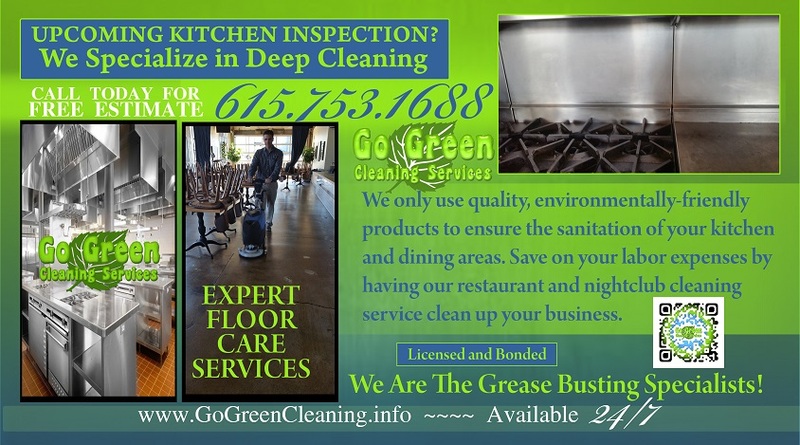 Go Green Cleaning takes pride in offering top of the line restaurant kitchen cleaning and maintaining services to its clients in Nashville. With extensive experience and market knowledge, we use the latest tools and methodologies to efficiently get rid of any germs or unwanted species in your kitchen. When you are running a restaurant, it is important to know that keeping a kitchen clean and tidy will help you run a sustainable business. What you cook and serve speaks volume about your success. For instance, if you do not have a clean kitchen, people would not prefer eating at your restaurant. Contact us today for a free consultation! 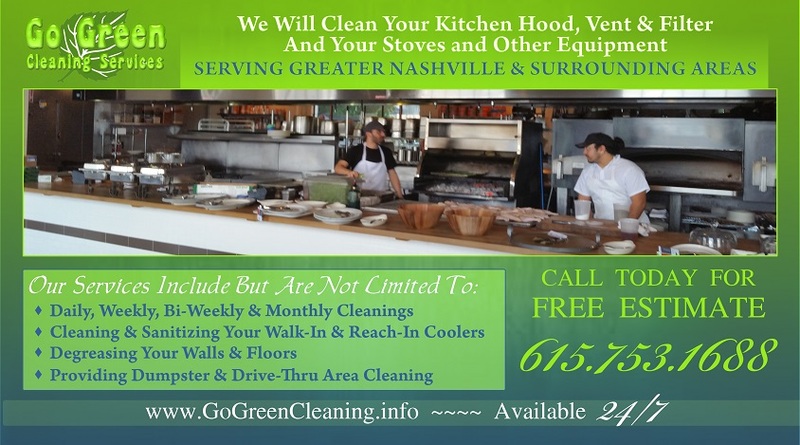 Go Green Cleaning is one of the leading restaurant cleaning companies in Nashville. 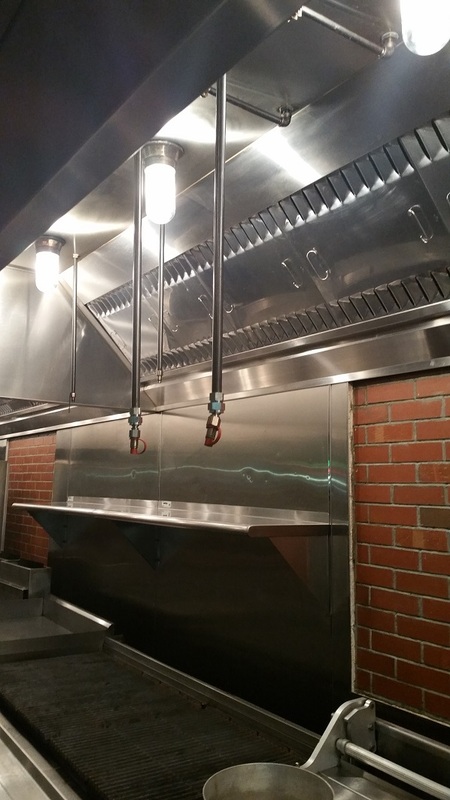 Our restaurant cleaning services in Nashville involve kitchen and equipment cleaning. We dismantle everything and thoroughly clean every single part of your kitchen. The end result is something that you would be proud of. If you are looking for professional restaurant kitchen and equipment cleaning services, look no further than Go Green Cleaning. We will work with you closely to make your kitchen look new and clean!